Lili Chin's artwork is unique, charming and expressive, so it only makes sense that her artwork should feature some of the most unique, charming and expressive animals of all: dogs! Chin is a Los Angeles-based illustrator who founded FWAK! Animation and co-created the Warner Bros' hit animated series "Mucha Lucha." Lately, however, much of her artwork has revolved around canine companions. The idea for Chin's canine-inspired artwork began rather organically, and was inspired by the dogs she fostered through the animal-rescue group Boston Buddies and her own rescue dog, Boogie. Chin tells The Dodo that "I drew them all the time and blogged about them. This was back in 2007. People saw my drawings and wanted me to draw their dogs so I started a fundraiser for Boston Buddies - donations in exchange for pet portraits. I had so many requests that I turned the project into a pet portrait business: Doggie Drawings. I continue to donate a percentage to rescue." Chin's favorite charity to donate to is Boston Buddies, though she lets her portrait clients choose which group they'd like their donation to go towards. 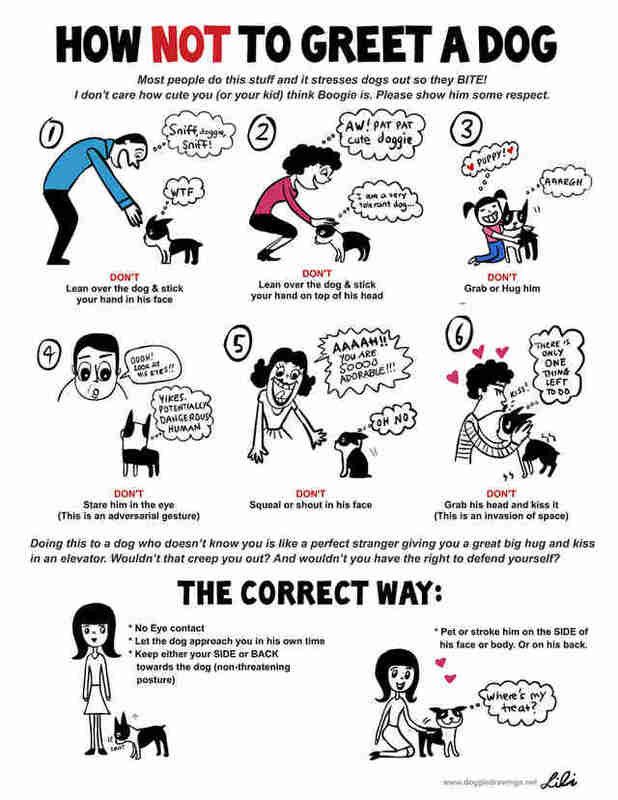 Chin's illustrations began taking on a different tone after she had a "life-changing, traumatic" experience when her beloved dog Boogie bit someone. Chin says the experience led her into "the world of learning about dog body language, behavior, and dominance-based vs. humane force-free animal training methods." 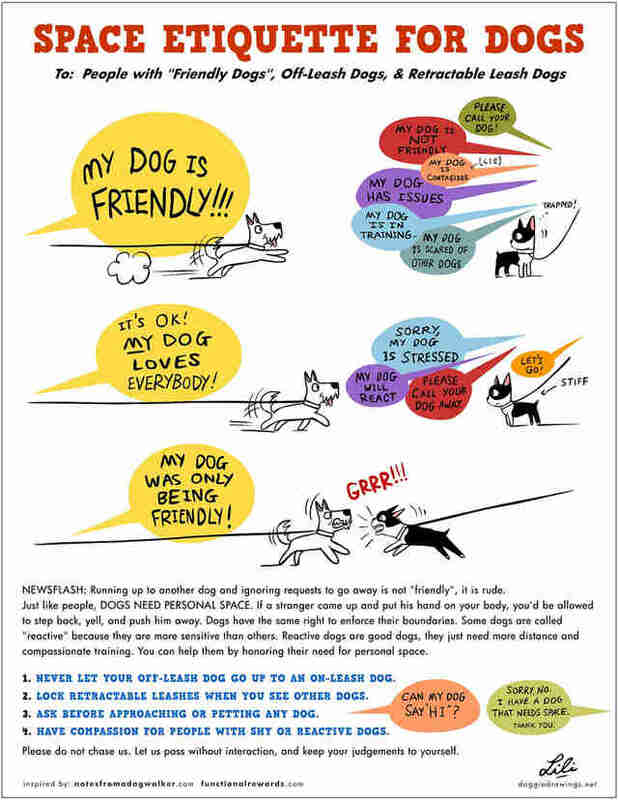 Chin began illustrating her experiences through blog posts and infographics, while simultaneously providing illustration services for force-free dog trainers, veterinarians, and animal advocates. 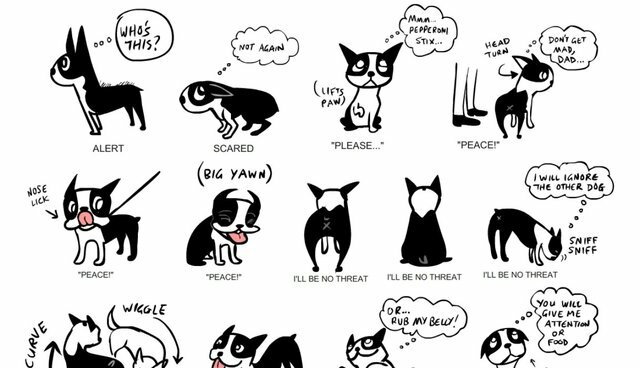 "You could say that a big part of being a pet artist for me is about being dog-friendly, and making it clear what is and isn't dog-friendly in the way that we relate to dogs," says Chin. Chin says that she hasn't always been such a dog person. But her first foster dog changed that completely. "I used to be a cat person," she says. 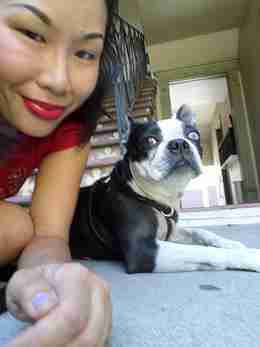 "When I fostered my first dog for Boston Buddies - a 13 year old Boston terrier with palsy, a brain tumor, stomach cancer and a personality like no other - I fell in love with her and turned into a dog person. I became even more of a dog lover when I adopted Boogie and learned about all things DOG from him." 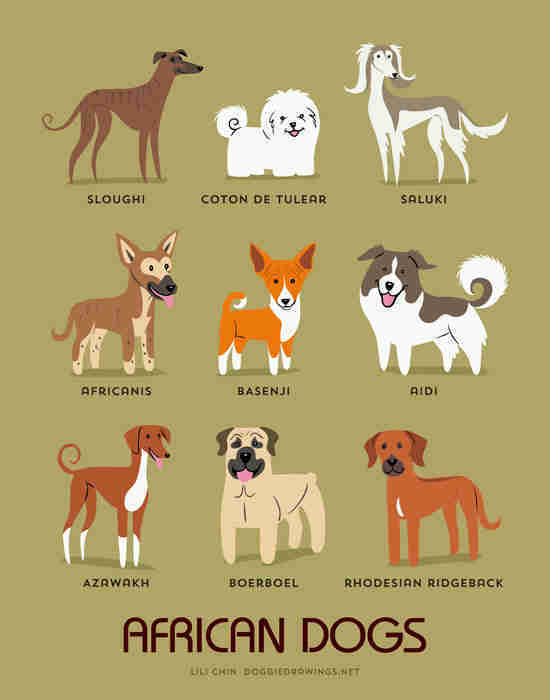 Chin's most recent artistic exploration involves an educational look at different types of dogs from around the world. "The Dogs of The World series was simply a personal project that I started a few months ago. I had a lot of fun learning about dog breeds and drawing them." 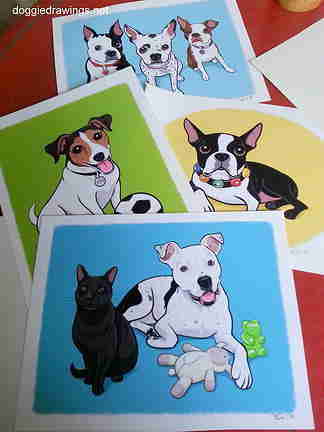 More of Lili's canine artwork can be seen on her website Doggie Drawings, and her other (less dog-centric) artwork is featured on her personal website. CORRECTION: A previous version of this article stated that Lili Chin was bitten by her dog. In actuality, her dog bit someone else.